1) Differences b/w Conditional Forwarding and Stub Zones. Ans:- Both do the same thing like forwarding the requests to appropriate name servers who are authoritative for the domains in the queries. However, there is difference in both, Stub Zone are Dynamic and Conditional forwarder are static. Conditional Forwarding – Where you want DNS clients in separate networks to resolve each others’ names without having to query DNS servers on the Internet, such as in the case of a company merger, you should configure the DNS servers in each network to forward queries for names in the other network. DNS servers in one network will forward names for clients in the other network to a specific DNS server that will build up a large cache of information about the other network. When forwarding in this way, you create a direct point of contact between two networks’ DNS servers, reducing the need for recursion. Copies of NS records for all name servers authoritative for the zone. Copies of A records for all name servers authoritative for the zone. 2) How AD Replication Works ? 3) How DNS is important in AD replication? Ans:- Once DC gets its replication Partner Hostname then it queries DNS for IP Address. 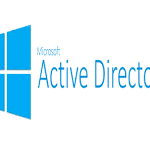 Also, _MSDCS zone is required for Domain Controller Locator that enables the client to locate the DC. 4) Ports Required for Domain Controllers to communicate. 5) What is GPT and GPC? Ans:- A GPO (Group Policy Object) is a collection of Group Policy settings, it consists of GPC and GPT. GPC (Group Policy Container) contains the information of property of GPO like Security Filtering, GPO Status, GPO GUID etc. GPT (Group Policy Template) contains the data of GPO in Sysvol folder that can be checked after the configuration of the GPO that what settings have been configured to the client. 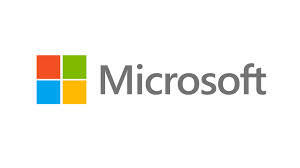 6) What is new in Microsoft Clustering 2008? 7) What is Majority Node Set? Ans:- NLB (Network Load Balance) is a Microsoft implementation of clustering and load balancing that is intended to provide high availability and high reliability, as well as high scalability. Unicast is a one-to one connection between the client and the server. Unicast uses IP delivery methods such as Transmission Control Protocol (TCP) and User Datagram Protocol (UDP), which are session-based protocols. When a Windows Media Player client connects using unicast to a Windows Media server, that client has a direct relationship to the server. Each unicast client that connects to the server takes up additional bandwidth. For example, if you have 10 clients all playing 100-kilobits per second (Kbps) streams, those clients as a group are taking up 1,000 Kbps. If you have only one client playing the 100 Kbps stream, only 100 Kbps is being used. 10) What is new in Windows 2008 AD? 11) How to configure RODC to replicate password of users? 12) What is the issue we face while recovering AD from VMware snapshot? 13) Difference between Authoritative and Non-authoritative restore in AD? 14) What is new in Authoritative restoration in windows 2008? 15) What is new in Windows Cluster 2008? 16) What is Strict Replication? 17) What is Super Scope in DHCP? 18) What is the requirement to configure Full memory Dump in windows? Click Start > right-click Computer and select Properties in the menu. Click Advanced > Settings > Startup and Recovery > Settings > Write debugging information > Complete memory dump. 19) Which DNS record is required for Replication? 20) Tools to analyze Memory Dump? 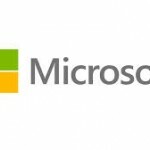 21) Tools to troubleshoot Group Policy issues? 22) What AD parameters can be added to enable the Monitoring for AD? 23) How to troubleshoot AD replication issues? 24) Booting sequence in windows 2008? Here’s the brief description of Windows Server 2008 Boot process. BOOTMGR transfer control to the Windows Loader (winload.exe) or winresume.exe in case the system was hibernated. Winloader loads drivers that are set to start at boot and then transfers the control to the windows kernel. 25) How to edit Schema in AD? Ans:- Firstly, schmmgmt.dll has to be register. Then ADSIEdit tool can be used to edit schema. Windows Server 2008 Boot process. Ans:- FCInfo utility or Storage Explorer (windows 2008) can be used to check the same. 28) How to create Host A record remotely? 29) What is glue record? Name servers in delegations are identified by name, rather than by IP address. This means that a resolving name server must issue another DNS request to find out the IP address of the server to which it has been referred. If the name given in the delegation is a subdomain of the domain for which the delegation is being provided, there is a circular dependency. 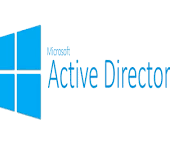 In this case the name server providing the delegation must also provide one or more IP addresses for the authoritative name server mentioned in the delegation. This information is called glue. The delegating name server provides this glue in the form of records in the additional section of the DNS response, and provides the delegation in the answer section of the response. For example, if the authoritative name server for example.org is ns1.example.org, a computer trying to resolve www.example.org first resolves ns1.example.org. Since ns1 is contained in example.org, this requires resolving example.org first, which presents a circular dependency. To break the dependency, the name server for the top level domain org includes glue along with the delegation for example.org. The glue records are address records that provide IP addresses for ns1.example.org. The resolver uses one or more of these IP addresses to query one of the domain’s authoritative servers, which allows it to complete the DNS query. 30) What is Loopback Group Policy? 32) TCP/UDP ports used in Windows?